Looking to fill up your iPhone or iPad with free apps? Here are no less than 59 apps that are now free. 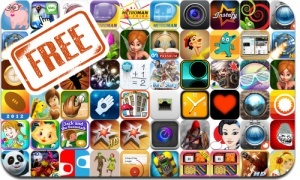 This apps gone free alert includes Beat Boxes, Adventure Bar Story, iSlash, Space Station: Frontier, Finger Battle, Fairy Tails, Hotel Dash: Suite Success Deluxe, Radballs, The Magician’s Handbook: Cursed Valley, The Last Defender, and many others.